Let me tell you how impressed I am with your accomplishments. Wael’s interview on Dream TV (to see the video with short translation, click here and scroll down two-thirds) was the most impressive interview in a year. Unlike you, I grew up in Europe, but I have always been close to my Egyptian family. 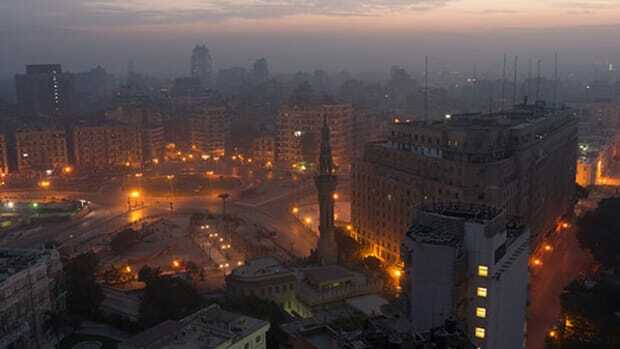 Ever since I became politically aware, President Mubarak governed your country. Political life was stagnant, corrupt and oppressive — so much so that some of my closest relatives had come to view politics as a dirty game from which they wanted to stay as far removed as they could. I never agreed with this attitude. I believed that politics was the power to govern and that this power should rest in the hands of the people. As a student of political science and now professor of international studies, it pained me how little say Egyptians had and how obediently they seemed to acquiesce in their oppression. This made me think that being Egyptian was uncool. You have changed all that. 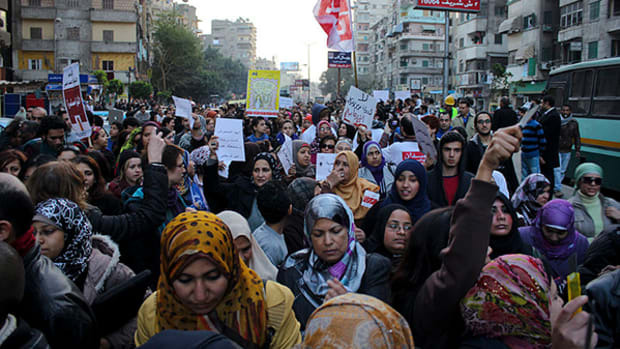 Like thousands of others, I watched the video of Jan. 26 in which a young Egyptian woman called on her compatriots to take to the streets after the Friday prayers. When the government hired thugs on camels to bombard you with Molotov cocktails, I worried with millions that you would respond with violence, giving the regime a pretext to pull the army into a confrontation with you. But surprisingly, the level of violence on your part remained minimal. This morning, I found out why: Your protests were more than a semi-impromptu Facebook gathering of young people who congregated around their common disgust with torture and police brutality. They had, instead, been in the making for two years. You drew on Gene Sharp’s ideas on nonviolent struggle and were inspired by the success of Otpor, a dozen-strong Serbian student group who in 2000 used e-mail communication, political humor and leaflets thrown from buildings to spawn a nationwide decentralized resistance network that culminated in a massive demonstration in Belgrade and toppled the dictator, Slobodan Milošević. Both Gene Sharp’s manual From Dictatorship to Democracy and Otpor’s example are required materials in Introduction to International Studies, the course that I teach at the University of St. Thomas. I used to tell my students that 12 of them could oust a dictator. Now you have actually done it. Thanks to you, Egyptian is now cool. Sharp stresses that overthrowing an autocrat is not the same as introducing a democracy. That requires, among other things, democratic institutions that channel the participation of the freed population, teach them the ropes of democracy and prevent new dictators from seizing the reins of government. 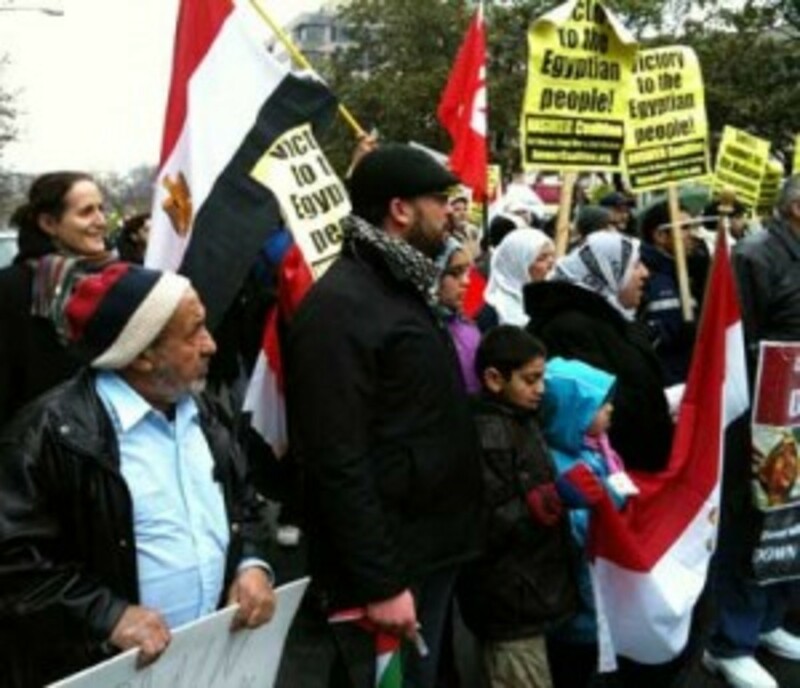 Professor Nivien Saleh, far left in multicolor scarf, pictured at an anti-Mubarak demonstration in Washington, D.C., on Feb 5. Saleh offers the "Doha Debates" as one example for Egyptians crafting a new government. To turn the ouster of the dictator into a permanent success, Egyptians will need training to adjust their voices to the back-and-forth of democratic discourse. They must understand that diversity and difference of opinion are natural and that discussion follows certain rules of argumentation that ensure participation by all. People will also have to learn where admissible speech ends and hate speech begins. On Feb. 8, the very timely topic was the role of social media in the revolutions of Tunisia and Egypt. 1. The format demands succinct, high-quality reasoning from the speakers. It models what good political reasoning looks like. The format is highly structured. Those who follow the rules of civil discourse will gain a hearing. The rules of discussion will give onlookers an understanding of the terms that govern deliberative democracy. 2. The Debates are interesting enough to draw large television audiences. They particularly engage audiences of the same age that have carried the 2011 demonstrations and who have shown the world that they crave democratic politics; and the Debates allow the framers of the new constitution to introduce essential political questions to a national audience. This enables the framers to test the waters and gain greater legitimacy for their constitutional endeavor. 3. The format drives home the point that national politics is public and that all of Egypt’s citizens have a right to know what their government does and a responsibility to inquire into its actions. If these debates succeed on Egyptian television, they might offer ideas for local in-person town hall meetings or those that convene online. In a number of ways, the Doha Debates thus offer a wonderful training site for democratic discourse. The Debates are held in English. In Egypt they should, of course, be held in Arabic so that the entire population can follow them. And you would need to come up with your own name. Does "Cairo Conversations" sound good? If you like the concept, be sure to ask Western donors for funding. Because Egypt is a large country and a pillar of Middle East stability, no one will want to see Egypt’s democratic experiment fail. Money will therefore be available. I sincerely hope your democratic dreams materialize. 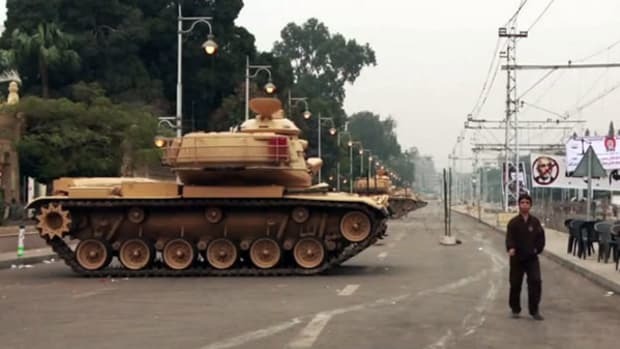 Translators narrate a livestream from Egypt's day of reckoning.